Google’s infamous gmail invite system forever changed the way startups would roll out new services. I originally wrote the bulk of this article in 2004, and the overwhelming success of the gmail invite rollout has been copied and cloned repeatedly ever since. In fact, it is hard to think of an internet startup that introduced its product without using invites. The invite system creates desire and exclusivity. Just like the infamous club scene in Miami, half the fun is trying to get in the door. Additionally, by limiting the number of users (through the number of invites released), the servers can be tweaked and configured gradually in a controlled fashion. If the servers are running slow, less invites are released until the systems are running smoothly again. Like anything successful in marketing, the more it is used, the less effective it is. Begging and searching for invites is a rare event these days, but the legacy of the gmail invites is essential internet marketing knowledge. This is not a typical tech-recipe although much can be learned from this topic. If I were a budding internet marketer, I would study the world of gmail and its now infamous invite system. Feel free to discuss in the comments below. 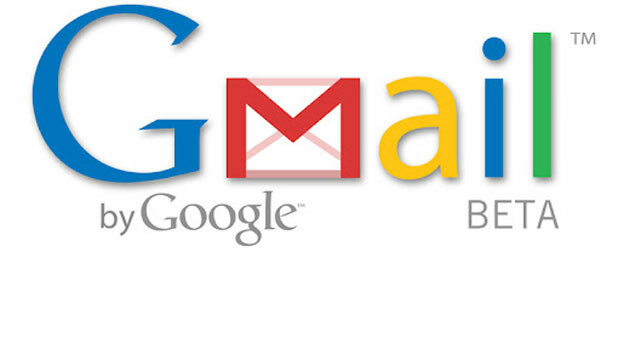 For months, rumors about gmail were slowly being released. The initial news about the massive 1 gig mailbox came out on March 31st–close enough for the internet to openly wonder if it were a classic Google April Fools joke or not. Whether it was planned or not, this was the beginning of gmail’s success in getting the internet user to auto-market gmail through forums and blogs. Next, gmail started its beta testing program; it trickled out its invites slowly. Active users of Google’s online blogger service received invites early. Getting gmail discussed in the blogs was obviously an early priority. As the buzz started to build, people’s desire to see this new toy grew as well. People feared that other people would obtain the specific gmail name that they wanted. Before long, beta accounts were selling as high as $500 on ebay. When people are so excited that they are paying for a free product, that is marketing perfection. Each gmail user gets to send out invites to other users eventually. More users equal more invites. This, of course, killed the ebay market; however, it allowed the gmail news to spread and spread. Without the “I gotta have it!” frenzy created by the initial slow roll out, many users would have ignored gmail invites from their friends. With the feeling that invites now have a market value, invited users feel at least obligated to try it out and see what all the excitement is about. Invite numbers are now increasing so fast that many users have more invites than they know what to do with. By posting “I have gmail invites” in blogs and forums, you are promised instant action. Websites such as gmailswap have appeared which allow you to trade invites for stuff. Searching for gmail contest yields over 33k hits (editor: now 46 million). Other than marketing, the invite system has other advantages as well. It allows gmail to limit its growth exponentially. This allows Google to stress test the system as it ramps up. If they just opened the doors to everybody, the initial blast of users might be more than they could handle. The invite system allows Google to ensure stability. Considering that gmail delivers targeted ads based on users’ email content, gmail’s privacy issues could have tainted the service’s debut. However, with yahoo and hotmail struggling to keep up in size and features, gmail has roared onto the scene in a flash of genius. Through luck or brilliance, Google’s gmail roll-out has been marketing perfection. We can only wonder what is next from this growing giant. Originally published June 29, 2004.